In designing the A3 CD, Musical Fidelity set itself the task of making one of the best CD players in the world, regardless of price with excellent technical performance and structural integrity. Not content with merely improving technical standards, the design team also ensured that the A3 CD delivers outstanding sound quality and neutrality. It was designed to deliver tight, fast, extended bass; neutral mids and highs, and extraordinary coherence. Using the Nu-Vista as a benchmark for high-frequency performance, the A3 CD delivers similar levels of clarity, coupled with a complete absence of harshness or grain. The A3 CD performs consistently from disc to disc, due to an unprecedented low level of jitter. 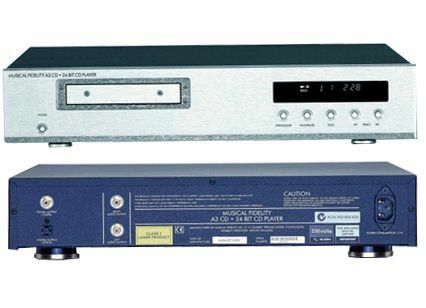 Performance also benefits from an advanced clock re-timing circuit newly developed by Musical Fidelity, along with the rare Burr Brown 24-bit DAC. Is also performs consistently from amplifier to amplifier, due to the new, five-pole filter developed by Musical Fidelity, which significantly reduces high frequency spuriae, and gives ultra-low noise and distortion. The sonic performance of the A3 CD is easily comparable to expensive reference models and would be considered exceptional at any price. 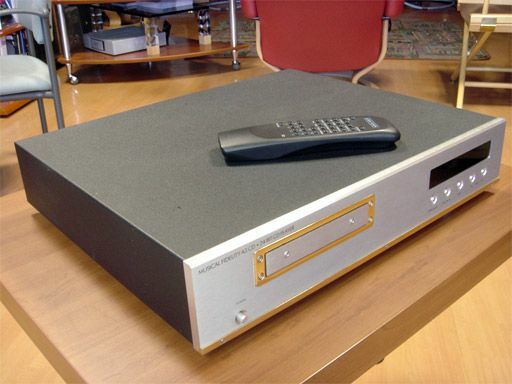 Musical Fidelity have also investigated the impact that build quality has upon sound quality. The result is our non-resonant chassis, case and front panel assembly. The A3 CD matches the A3 and A300, and has the same no-compromise finish. It is an ideal partner for either of them. Although the A3 CD can be attached to an external DAC, they are unlikely to perform better than the one inside the A3 CD. Finally, the A3 CD has extremely low output impedance, below 50 Ohms, and lacks ultrasonic spuriae, so it will match any amplifier, and will never cause upsets or strife within the h-fi system.